Attention, Commanders! The Mars Coalition has made a huge technology breakthrough, and our Turret Systems are ready for an overhaul! To update to the new “turret head system”, you’ll have to have at least Central Computer Level 4. Click any turret at your base, followed by the Update System button. This will allow you to build Turret Emplacements with changeable Turret Heads. Go to the Defense section in the Build menu to build a Turret Emplacement. Each Turret Emplacement has it’s own level, and each Turret Head has its own level independent of the emplacement. Click any built / completed Turret Emplacement followed by Change Weapon to build any unlocked Turret Head. After clicking Change Weapon, select the unlocked Turret Head that you’d like to build on that Turret Emplacement. For a more in-depth guide of the Turret Emplacement system featured in another Battlehouse game, head on over to the Battlehouse Forums. Like what you see? Let us know over on Clan HQ. Watch your step, Commanders! Landmines are here, and It’s finally time to utilize some of the extra space you opened up around your base in the recent Base Expansion update. Unlock Landmines by building the all new Weapons Lab and Weapons Factory buildings available in the Build Menu. The Weapons Lab will be the home for all of your mine research and upgrades, while the Weapons Factory will handle all mine production. After constructing the buildings, build your first Minefields from the Defense section within the Build Menu. After the Minefields are placed, you still need to produce Mines to arm them! Head into your Weapons Factory to build some Anti-Infantry Mines to start. Don’t forget to re-arm your Minefields after each defense! Head to the Unlock & Upgrade section within the Weapons Lab to research additional types of Mines, and to unlock more buildable Minefields. The Security Network is now live, and The Firestorm System is officially the first of many new surveillance systems now available for installation. What is a Security Network System? These special targeting cameras find weak points on enemy units, creating boosts for nearby defending units. Install cameras to your Tactical Ops Center, Warehouse, Reserves Bay, Weapons Lab, Leader Academy, Leader Barracks, Transmitter, Academy, Barracks, Maintenance Bay, Motor Pool, Maintenance Hangar, and Airfield for maximum defense. Purchase the Firestorm System in the Hardware Event Store, and Equip them to the above mentioned buildings by opening up the Building Upgrade menu. Once equipped, the Firestorm System will provide a Damage boost to friendly units within 100 yards of each equipped building. Deploy the entire system to extend the boost range to 150 yards. (note: boosts from overlapping buildings do not add. When in range of multiple buildings equipped with Security Network items, units will receive the single maximum boost amount). More Security Network Systems will be rolling out over the next several weeks that will allow you boost your defenders’ Armor and Range. This is part of a continued ongoing effort to help boost player base defense capability. That said, AI enemies will not be receiving these upgrades for now. The Level 13 AH-64 Apache is here! As with the recent unit level cap releases, your Level 13 AH-64 Apache will also feature improved stats and no increases in battalion space requirements. As with any improvement in power, there are increases in cost, production time, and repair time. The Level 13 AH-64 Apache upgrades require a blueprint that can only be purchased during Hardware Event Weeks in the Hardware Prize Store. We will continue to release similar levels in this catch-up mechanic boost to more core units going forward. The Level 13 AH-1 Cobra is here! As with the recent unit level cap releases, your Level 13 AH-1 Cobra will also feature improved stats and no increases in battalion space requirements. As with any improvement in power, there are increases in cost, production time, and repair time. The Level 13 AH-1 Cobra upgrades require a blueprint that can only be purchased during Hardware Event Weeks in the Hardware Prize Store. We will continue to release similar levels in this catch-up mechanic boost to more core units going forward. The grease monkeys of Gundar Arms Industries have finally received their backordered shipment of red paint meaning that the Elite Nimr is now available for mass production! The Elite Nimr features enhanced stats over the Nimr, and can fire upwards! Choppers beware. Starting Today: The Elite Nimr L6+ Upgrades are now available for all players! No need to grab the blueprint if you already have Level 5 unlocked. Just jump straight into the Level 6 Research! Don’t have a Level 5 Elite Nimr yet? 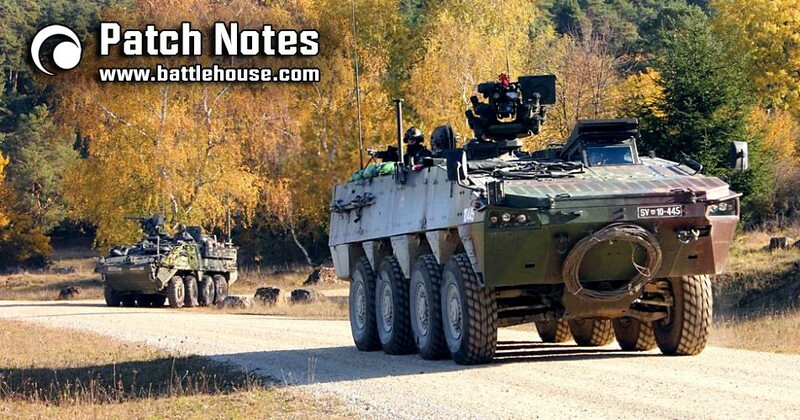 Get to the ONP Store now to start unlocking your Elite Nimr blueprints & sub-components. In an effort to better teach incoming new players about the regional map, and welcome them to the map sooner in their Thunder Run journeys: New players can now access the regional map and deploy battalions as early as TOC L2, by upgrading the Reserves Bay to L2. Please note that effective today, Reserves Bay L3 or higher is now required in order to deploy a full 10 battalions to the map. Commanders with an L2 Reserves Bay will only be able to deploy a maximum of 2 battalions to the map until they’re able to upgrade to L3. Thunder Run Veterans, rest assured: these changes will have no effect on Commanders who already have a Reserves Bay L3 or higher. The Level 13 OH-58 Kiowa and Level 12 AH-64 Apache are here! As with the recent unit level cap releases, your Level 13 OH-58 Kiowa and Level 12 AH-64 Apache will also feature improved stats and no increases in battalion space requirements. As with any improvement in power, there are increases in cost, production time, and repair time. The Level 13 OH-58 Kiowa and Level 12 AH-64 Apache upgrades require a blueprint that can only be purchased during Hardware Event Weeks in the Hardware Prize Store. We will continue to release similar levels in this catch-up mechanic boost to more core units going forward. 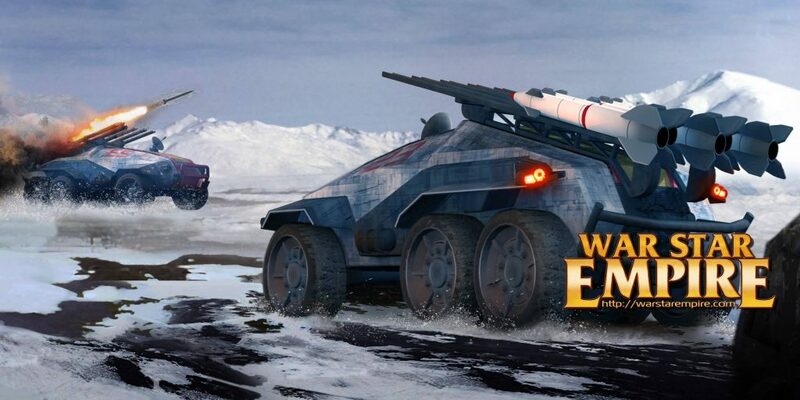 The War Star Empire End of Season Clan Tournament has finished, and Season 9 is now Live!